When you need a tow, odds are pretty good that you’re not in a great place, both physically and emotionally. Unless you happen to be hauling your classic car to your local auto shop for work you’ve been planning on, towing services are generally needed for cases of emergency. Which means that, if you’re hunting for a local towing service, you need service quickly, and you need help from someone you can trust—you don’t want just anyone showing up to help you in the middle of nowhere! At B&B Towing and Recovery, we pride ourselves on offering the trustworthy towing and roadside assistance you need any time of the day or night. With our Fast Service & Fair Pricing Guarantee, you can trust that we’ll be there to get to you quickly and provide service at a fair price—unlike so many of those nationally-operated fleets. B&B Towing and Recovery is locally based, and we have a fleet of 24 trucks available. We even have the specialized equipment to perform underwater recoveries, motorcycle towing, and towing for semi-trailers and other oversized vehicles. Because our fleet is so big, and we’re all locally based in Vermont and New Hampshire, we even perform roadside assistance services quickly. We can bring you fuel, jumpstart your car, or help you change a tire—and we’re AAA™ approved, so you can get your services covered, if you’re a member! If you need help with your vehicle, whether that means a tow, roadside assistance, or even mobile auto repairs, you can call B&B Towing and Recovery any time! Our mission is to get you on the go or towed quickly, and to provide the services you need at a fair price, no matter the time or day. We operate 24/7, 365. 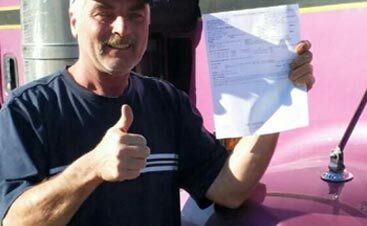 B&B Towing and Recovery has been in business since 2008, and we’ve grown to 24 tow trucks and so much more! We have the experience you need to get the job done well. We keep our team insured so we can be sure to uphold our level of quality and professionalism. Our Fast Service & Fair Pricing Guarantee is backed by our commitment to quality. Don’t worry about being stuck in the middle of nowhere on Christmas. Our team operates 24 hours a day, 365 days a year, so you can get the help you need when you need it. If your RV tipped on the ice or your semi-trailer toppled, we have you covered. We have the specialty equipment to handle towing of all sizes, from small to oversized. 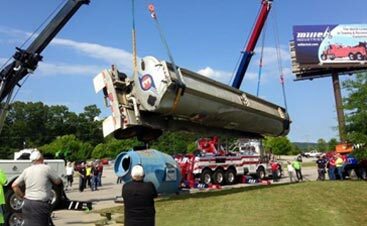 We specialize in all varieties of towing and recovery, and that includes everything from underwater recovery to crane and air cushion recovery. Sometimes, you just need a little help to get going. We can change a tire, bring fuel, jumpstart your car, or unlock your vehicle for you. Plus, we’re AAA™ approved! When you need to get your vehicle from Vermont out to California, leave it to the professionals. B&B Towing and Recovery offers long-distance towing; just ask us! 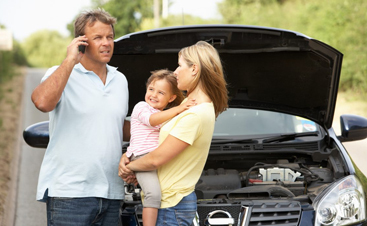 If you’ve been in an accident, we can help you get your vehicle running properly and even fix your paint job. We’re a one-stop shop for towing and repair, all with the same level of quality. Whatever your need, when your vehicle has been in a collision, stalled, or hit an icy patch and needs help getting back to the road, B&B Towing and Recovery is here to help you out. Contact our local team today to get the experienced and professional help you need! TO SCHEDULE A TOW OR REQUEST A PRICE CLICK BELOW TO YOUR NEAREST LOCATION! *NOTE THE ABOVE ONLINE CONTACT LINKS ARE MONITORED MONDAY – FRIDAY 8 AM TO 5 PM, IF YOU ARE LOOKING FOR IMMEDIATE ROADSIDE ASSISTANCE, BEST PRACTICE IS TO CALL US, WHICH IS ANSWERED 24/7!